Virgin Mobile Canada APN Settings . 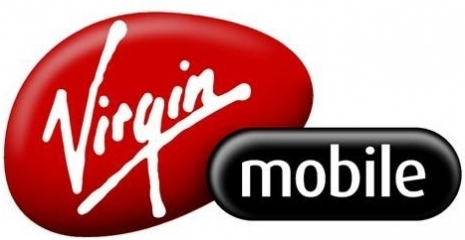 In this post we will guide you on setting up properly the latest and fastest Virgin Mobile Canada APN settings on your smartphone, be it an android, iOS or Windows phone…or perhaps blackberry? As you know, the Virgin Mobile MMS or APN Settings are required so that you can browse the internet and send or receive picture messages using your smartphone over the network of you mobile operator, they are unique per operator. After configuring the above Virgin Mobile Canada APN Settings you should be able to browse the internet and send multimedia messages (pictures). Need further instructions on how to configure the APN Settings on your smartphone? Just follow those easy steps provided below, you’ll only need to locate the corresponding smartphone model you are using and follow the instructions. Virgin Mobile Canada APN Settings for Android – if you are an android user (e. g. Samsung Galaxy S7, S6, LG G4, HTC M9, 10, etc. ), Just access the Settings menu, and then look for Mobile Networks and you will see Access Point Names, Add a new APN using the information provided above, save and you are all set! At this point of time, you should be good to go and the mobile internet should be working on your phone. Otherwise please drop us a message and we’ll be more than glad to assist you! I purchased a Galaxy S7 recently and my provider is Virgin Mobile. The data and picture messaging didn’t work from the beginning. After trying many APN configurations, I’ve gotten the data to work (FYI, it works with the settings posted on your website!). However, I still can’t send or receive MMS messages. Any tips? Hi Valierie, what is the apy type value you used? how about the MMS Port, etc? I have entered APN info on my S7 but i still cannot download media. What else should I be doing to fix this? can you browse the internet? download media do you mean by multimedia messages or where? Hello can ypu help me set APN on my galazy G5 . did you try setting up the APN Provided here? is it a carrier branded phone or you switched form another carrier? I’m on a Virgin Mobile Canada prepaid “by the minute” plan. I generally only use wifi, not mobile data. I have never had a problem receiving text messages including ones with pictures (MMS). I recently switched from an iPhone to a Pixel running Android 9. I have since received a couple of MMS texts and they won’t download; just keeps spinning. can you check your phone Apn settings.. where do you have under APN TYpe? Been helping my wife with her Samsung J3 (got a new SIM card due to issue and still occurs. Put Sim on a Samsung S4 and an A8). I can send mms and only receive mms from those on same network which is bell. My friends with other providers albeit Telus, Rogers etc. How can I receive only those on my network?